SPRINGFIELD – Leaders from both sides of the aisle, even members inside the Republican Party, have differing opinions on Gov. Bruce Rauner’s State of the State speech. Senate President John Cullerton, D-Chicago, said he’d like to be encouraged by the governor’s address delivered Wednesday, but he doesn’t know what to say. “At the end of the day, I don’t care if he’s a lone wolf or a head cheerleader, what the state needs is a governor to take charge, engage, and do the job, and that just hasn’t happened,” Cullerton said. Cullerton said Rauner hasn’t convened a leaders’ meeting in over a year. Senate Minority Leader Bill Brady, R-Bloomington, said in a statement the governor has reached out to both sides of the aisle for things like education funding reform, and said more bipartisan work is needed to pass a balanced budget as well as meaningful property tax relief. State Sen. Melinda Bush, D-Grayslake, didn’t hear how that would happen. 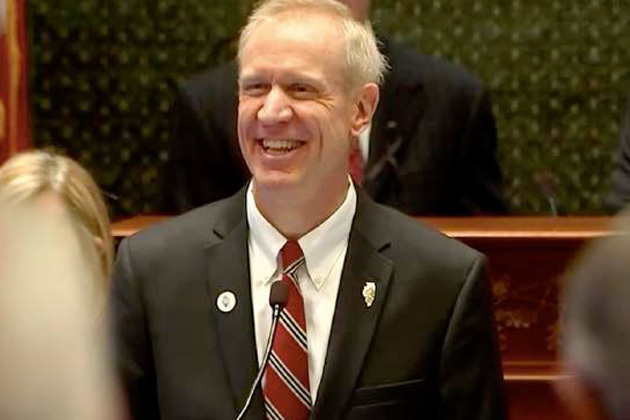 State Sen. Jason Barickman, R-Bloomington, said it was good to hear Rauner talk about things like education funding reform, which the governor highlighted in his address Wednesday. 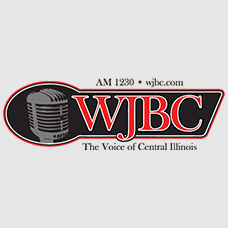 PODCAST: Listen to WJBC’s Scott Laughlin interview with Barickman. State Rep. Dan Brady, R-Bloomington, the House Deputy Minority Leader, said he too was encouraged by Rauner’s remarks on education funding and he looks for more details in his budget address later this month. “Probably one of the highlights was the K-through-12 funding side of things, $1.2 billion new dollars and that process continues, but also highlighting where we need to go when it comes to business reforms, where we need to go with it comes to tax reform,” Brady said. On the flip side, state Rep. David McSweeney, R-Barrington Hills, said taxpayers shouldn’t look at Rauner’s address, they should look at his record. McSweeney said despite Rauner’s record of donating to Democrats in the past, he trusted Rauner in 2014. But McSweeney said Rauner has betrayed conservative principles.